50-over cricket in its long history has witnessed some amazing matches and some incredible run-fests. Here we look at 5 of the highest Match Aggregates in the historu of One-Day International Cricket. Opting to bat first in a Day Night encounter being played at the Kingsmead Stadium in Durban, Australia made full use of an excellent batting surface and some ordinary Protean bowling, racking up 371 for 6 in their 50 overs on the back of centuries from David Warner and Steve Smith and a 18-ball 35 from Travis Head. 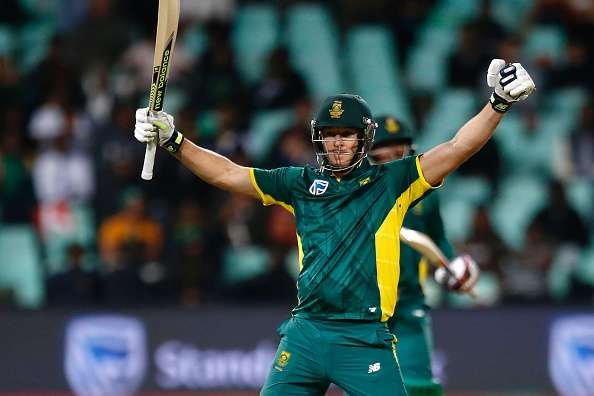 In reply, the hosts got off to the perfect start with Quinton de Kock notching up a 49-ball 70 to set the tone and was well supported by Hashim Amla and Faf du Plessis, who made 45 and 33 respectively. However, while chasing a total as big as this, one needs a hundred plus score and that came from the bat of David Miller, who made an incredible 79-ball 118 and along with lower order took his side home with 4 balls to spare.